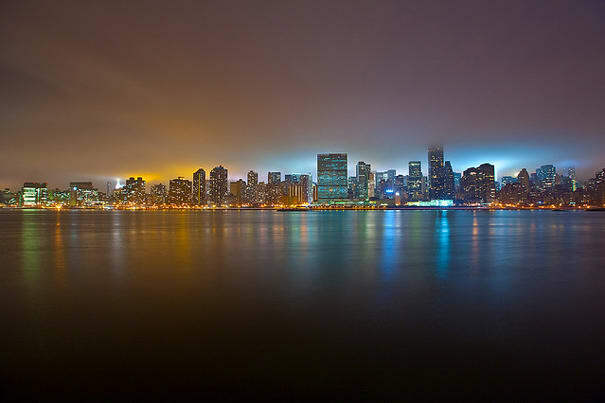 "This is midtown, shot from Long Island City. The place where I took this from is one of the spots where I used to go a lot when I was younger, to get high over there. It has a great view of the city. I took this photo late at night after driving home from a Timberland photoshoot in Maine. I was driving back and I saw that the sky looked really nice. I was like, I have all this equipment, I might as well stop for a minute and take a few photos, so I stopped over there."